In October there is the big Autumn Colorfest. http://mentoneareapreservationassociation.com/colorfest.asp This brings people from far and wide to check out the vendors, artists and whatever else is going on. It would be neat to have a vendor’s site next year with all my knitting. See! I did it again. 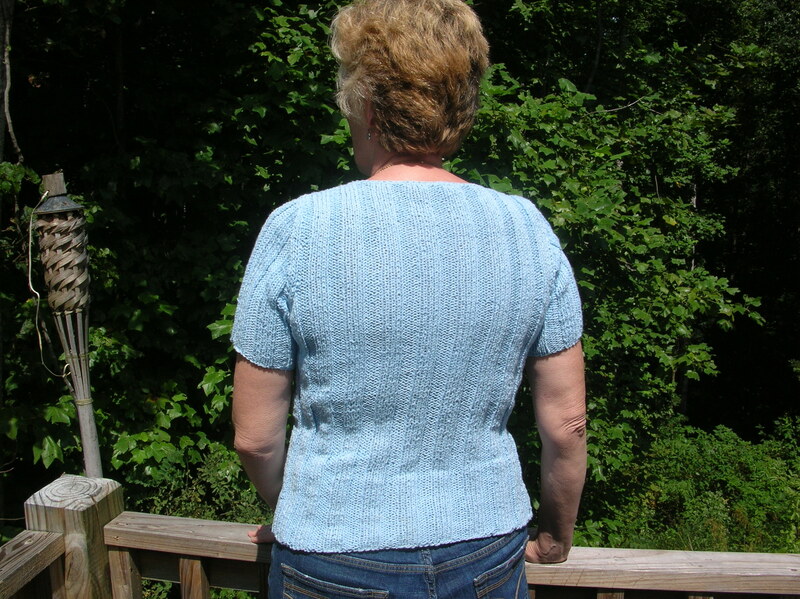 Blogging about something other than my knitting. Starting September 1st, I’m hosting a knitting group that will meet in the community center behind the library. Currently, plans are to meet every Thursday at 10:00. There is a local newspaper and the editor is running a notice for me. The purpose is to get together and share WIPs and FOs and hopefully to learn new tricks and new techniques. I, for one, want to learn how to knit Fair Isle and double stitching. I feel sure I can do it but this summer have wanted to knit projects that worked up fairly quick and finish two that were started in the spring. Also, I would like to learn how to crochet beyond an edge around the neck or bottom of a sleeve. 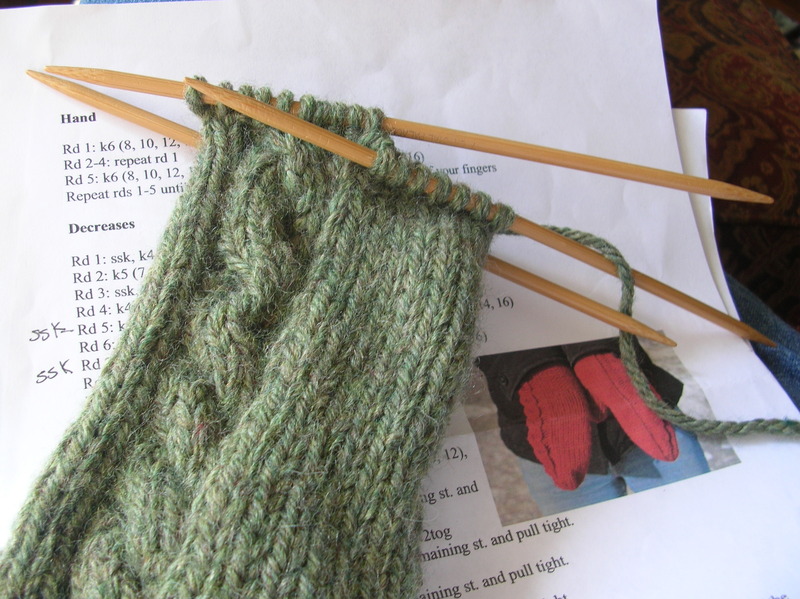 I have been working to finish two sweaters and test-knit mittens. I am so glad this sweater is finished before summer's end! 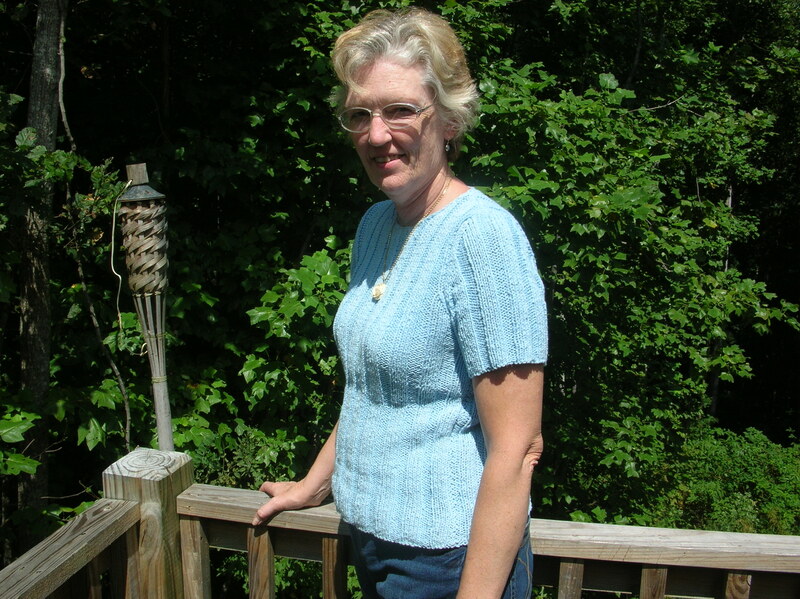 One sweater is finished and I wore it to church last Sunday. I was not going to brag tell anyone that I had made it but Bike Man was the one who told everyone. Have I ever mentioned his hobby of restoring vintage BMW motorbikes? He has more bike parts lying around than I have skeins of yarn. Right now there are two bike springs in a magazine rack on top of my knitting magazines. That is why he does not complain about my stash – he better not. 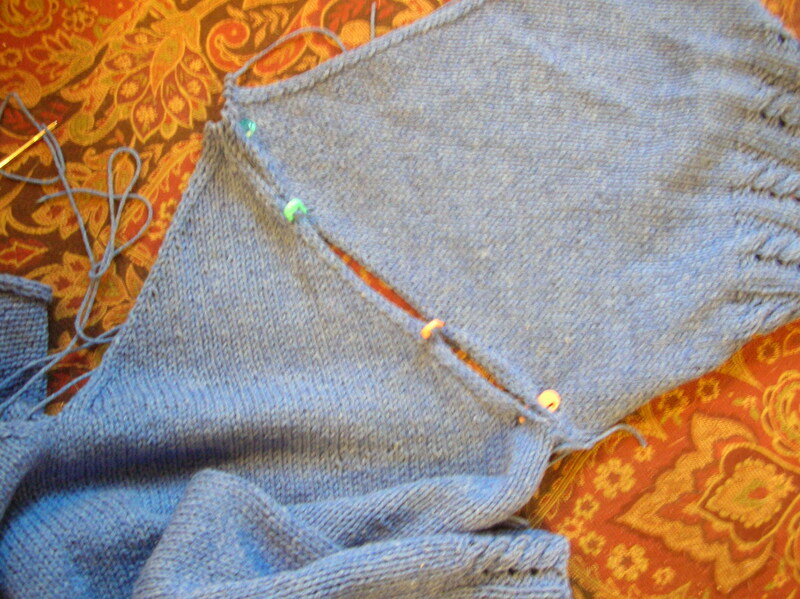 One sleeve is already sewn to the sweater back. 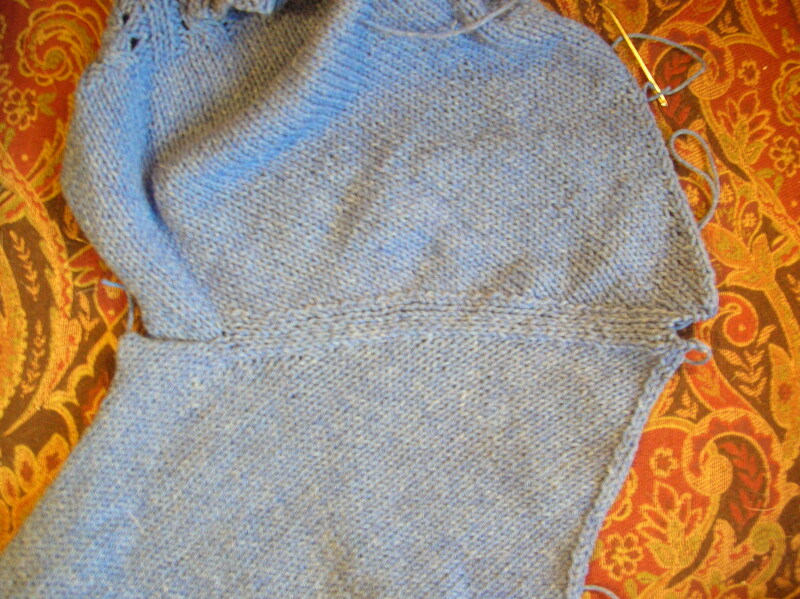 Ready to sew the raglan sleeve to the sweater front. I will post pictures and comments on these mittens very soon. I had to frog and redo the one that is pictured. If you will notice, the cable is backwards. Silly me! For a treat! 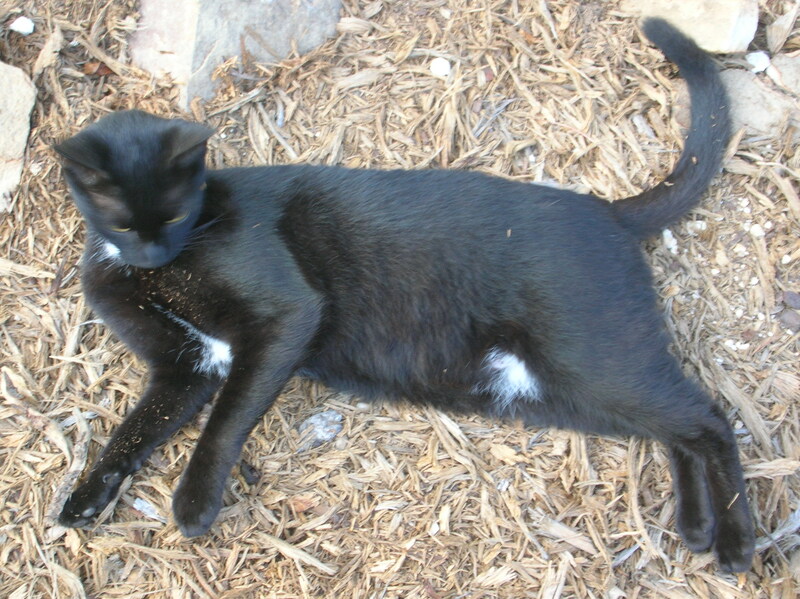 This is Monkee who is three years old and absolutely loves living here! In the future, look for posts about the four alpacas who live down the street from me with their owners; my finished sweaters; a review of the One Cable Mittens; and the progress of my county fair projects. Until then, take care.